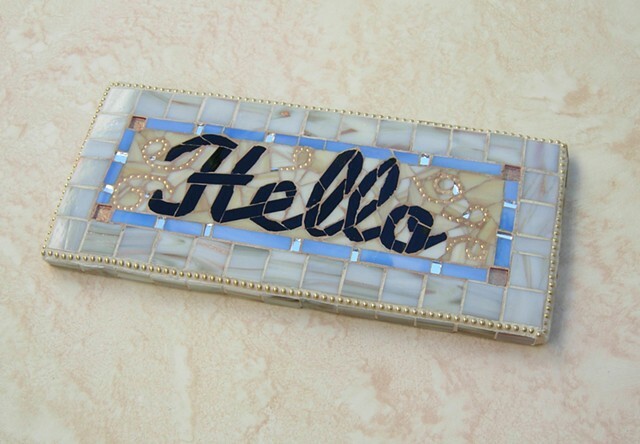 A quick, cheerful little Hello greeting to accent your home where it will make a difference Every day! Welcoming with bits of mirror that glint at night or sun. Home is your very own Oasis where rest and renewal await :) surround yourself with that which inspires and nurtures you. All glass, it is great for an outdoors.